Living in a metropolitan means dealing with dust and pollution on a daily basis and no matter how much I take care of my skin, breakouts become a common occurrence. Having a zit or a pimple before the big party or event has become my bane of existence hence I had to do something about it. I decided to switch back to my good ole and trusted Clean & Clear which has always been effective at controlling my pimples while growing up, especially during my teenage years. I have been using the Clean & Clear Pimple Cleansing Face Wash for a few weeks which I will be reviewing today. 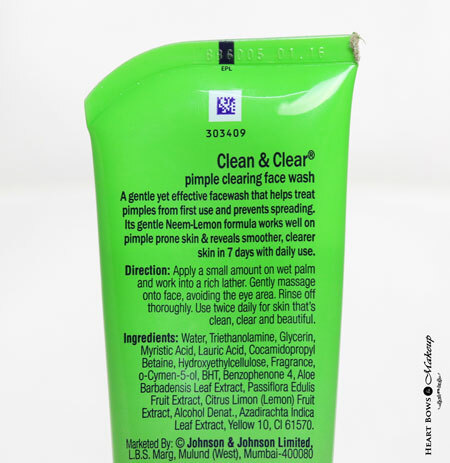 CLEAN & CLEAR® PIMPLE CLEARING Face Wash is a gentle yet effective way to cleanly breakup with your pimples. This ensures that you and pimples never get back together. The neem-lemon formula works well on skin prone to pimples, and within 7 days, will set you on the path to a far healthier relationship with clear skin! 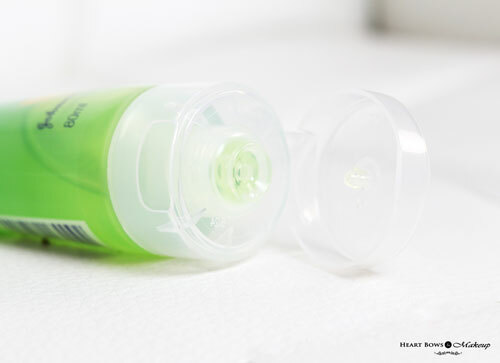 The Clean & Clear Pimple Clearing Face Wash is packaged in a peppy green tube with a flip open pack. The packaging is quite colorful and has all the necessary details mentioned on it like the list of ingredients, product claims, date of expiry etc. The cap shuts tightly hence it is spill proof making it travel friendly. You can also buy it in a smaller size for trial or travel. The Pimple Clearing Face wash has a gel like consistency which isn’t as runny as the Natural Bright variant. It is light green in color and lathers well with water though not as much as the Clean & Clear Original Face Wash. What I really liked was its pleasant scent. Nothing like kick starting your day with an uplifting fragrance which has a light hint of citrus but is mild enough to not to bother those with a sensitive nose. The Clean & Clear Face Wash for Pimples is very effective at removing dirt, grime and excess oil from the face. It helps to reduce the occurrence of new pimples. I could see a difference from the first wash itself as my irritated skin felt soothed due to the cooling sensation and there was a reduction in the angry breakouts. The face wash contains Neem which is an anti-bacterial and helps prevent acne and rashes. While the addition of lemon lightens marks and aloe vera keeps the skin hydrated. It does not make my skin feel stretchy however one must always follow up cleansing with moisturization. After I started using the Clean & Clear face wash, there has been a considerable reduction in new breakouts and the pimples are starting to fade. One can start noticing results from the first use itself as the skin looks smoother, clearer and softer. 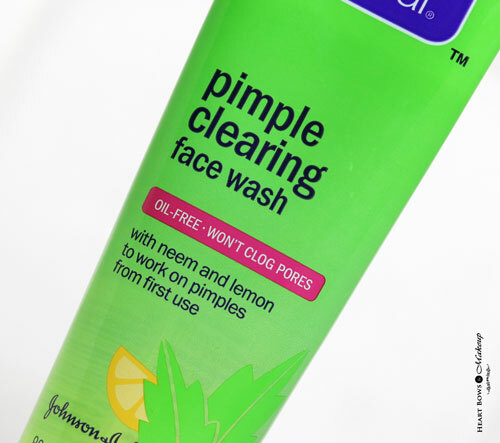 The Clean & Clear Pimple Clearing Face Wash has helped me break up with these pesky pimples which certainly troubles us like a bad relationship. This is easily the best affordable face wash for oily & acne prone skin in India. 10 Best Too Faced Products We Recommend Buying!